True to size 41. 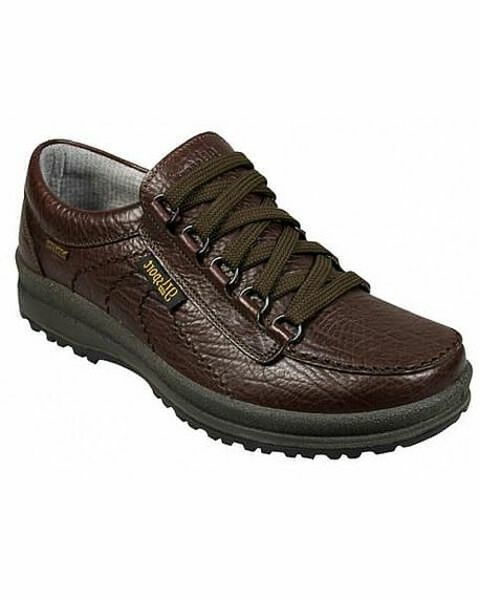 They are quite heavy and robust but only to be expected with a waterproof walking shoe. Very comfortable, weight not noticeable when worn. The padded ankle is well shaped and comfortable. "Hi This is the third pair of these wonderful walking shoes that I have ..."
Hand made with the finest leather upper, integral padded tongue and ankle cushioning. Anatomically designed insoles ensure even weight distribution with shock absorbing non-slip soles. Waterproof yet breathable lining.